The holiday season is laden with opportunities for online retailers, as shoppers attempt to find perfect presents for their loved ones. Merchants strive to entice customers into e-stores by providing a large assortment and lucrative deals. In such a case, discounts play a pivotal role when it comes to making a purchasing decision and their effectiveness is really impressive. As one of the most flexible and feature-rich e-commerce platforms, Magento gives web stores an excellent chance to launch special promotions for their visitors, such as discount campaigns. 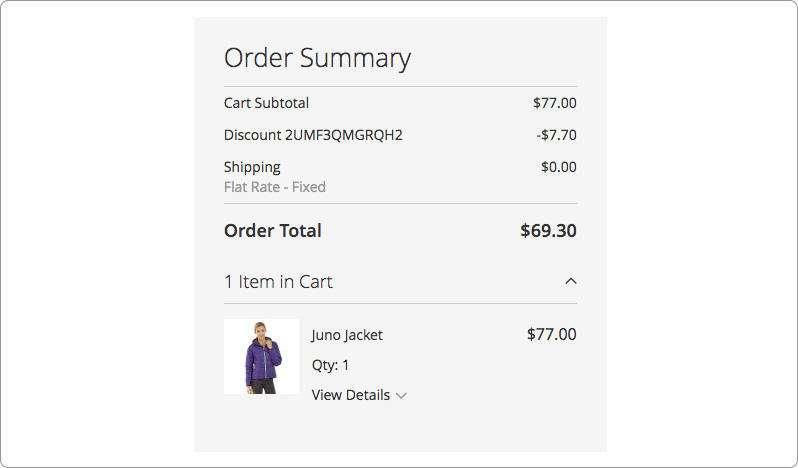 Some of Magento users may struggle with enabling discount attributes, but we assure you – it’s actually not as hard as it seems! 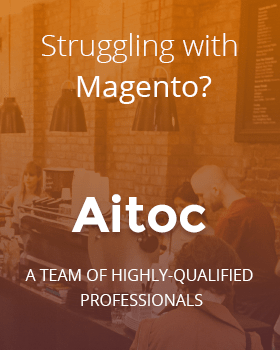 Aitoc has prepared this detailed tutorial to help you to easily set up discounts and activate coupon codes in your Magento store during the festive season. Keep on reading to learn all the tips. 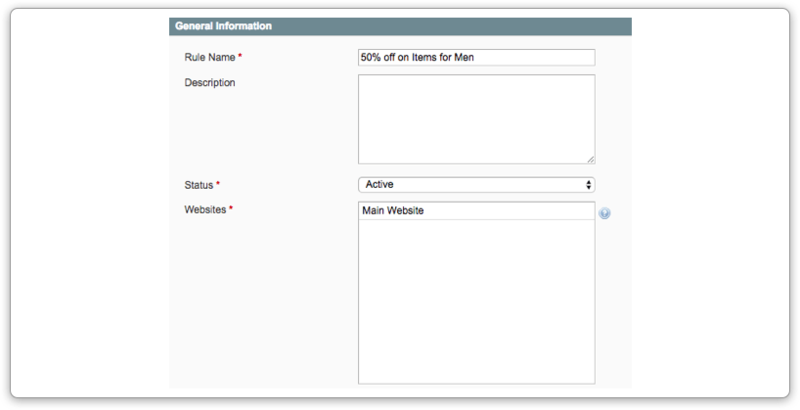 The default Magento functionality allows store admins to apply discounts to individual products. 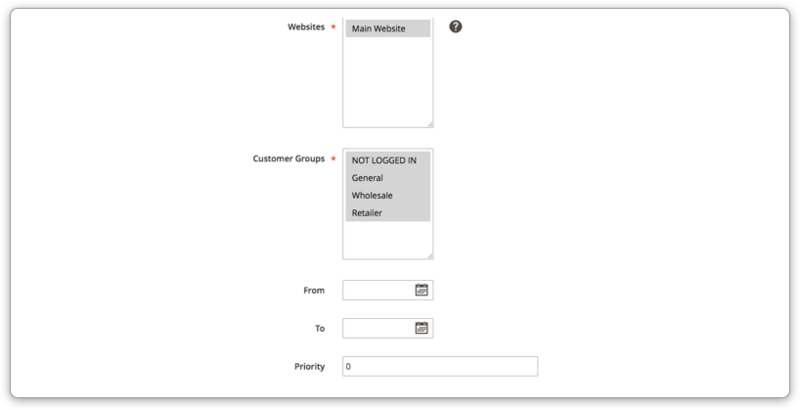 Log in to your store’s back-end first. 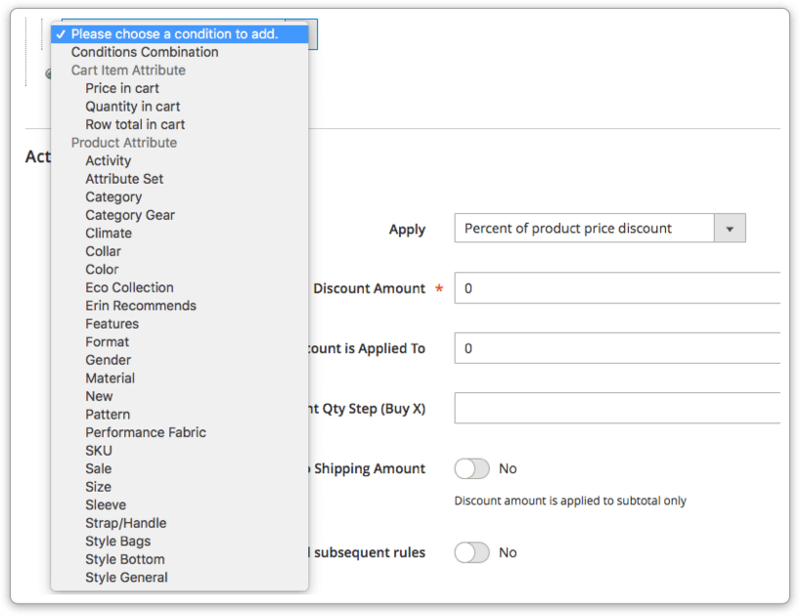 To set up such a discount in Magento 2, go to Products > Catalog, select the required item and click ‘Edit’. One the product page, scroll down to the price and hit ‘Advanced Pricing’. A new pop-up window will open. Use it to set up a discount for the item. Enter a new price in the ’Special Price’ field and specify the period when the discount will be active. Click the ‘Done’ button on the pop-up and then hit ‘Save’. 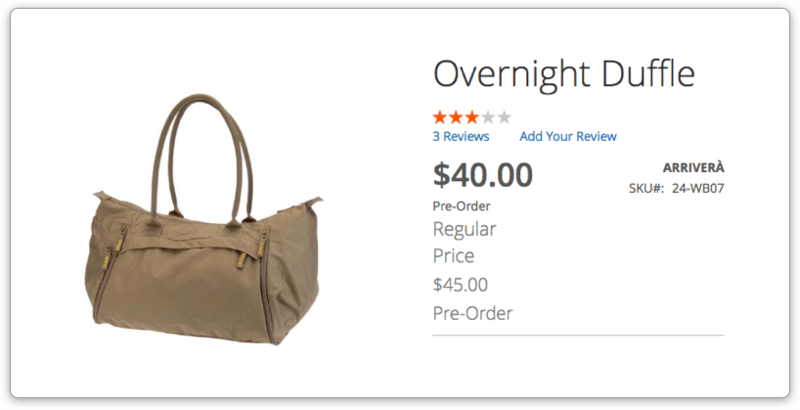 In Magento 1, navigate to Catalog > Manage Products to access the product list and choose the to-be-discounted item. 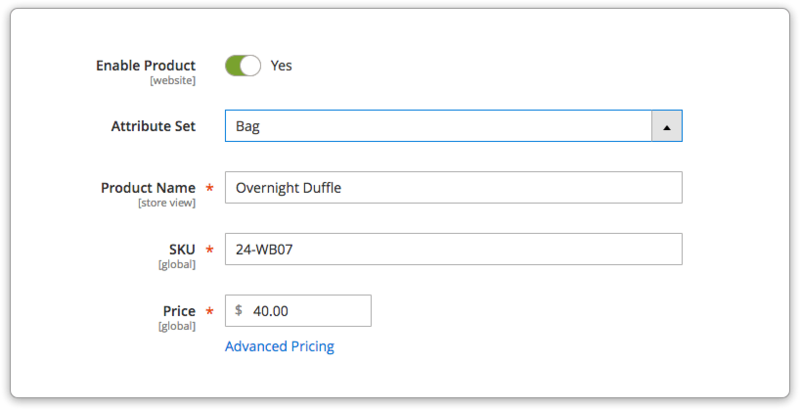 On the product page, go to the ‘Prices’ tab to configure special pricing. You can also take advantage of tier pricing by offering your clients a discount if they purchase the same product in bulk. 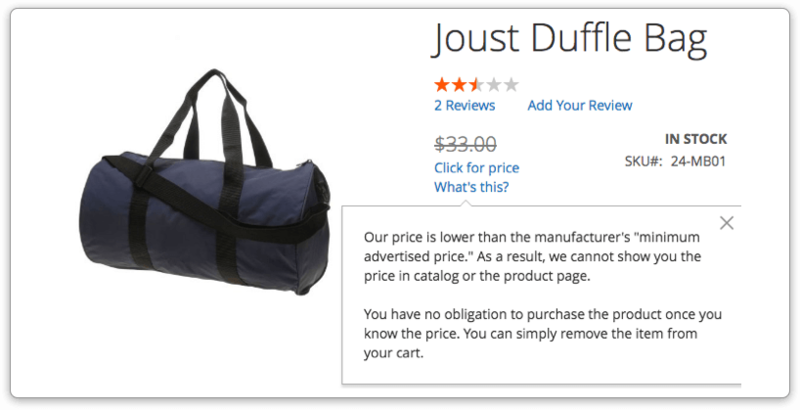 Category and product pages will display the ‘as low as’ option to indicate the available discount. You can also indicate Manufacturer’s Suggested Retail Price (MSRP). MSRP along with a discounted price will give shoppers a hint that your offer is more attractive than in other stores. 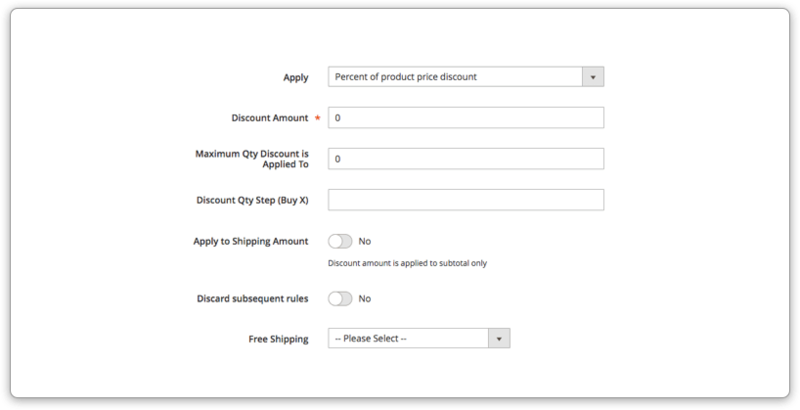 Leverage Magento’s built-in shopping cart price and catalog price rule features to set up discounts for multiple products. The platform supports a variety of promotional and sale scenarios that can assist you in increasing your revenue during the holidays or any other time of the year. There is an essential difference between these rules. When you apply a Catalog Price rule, the customer sees the discounted price right on the store page. 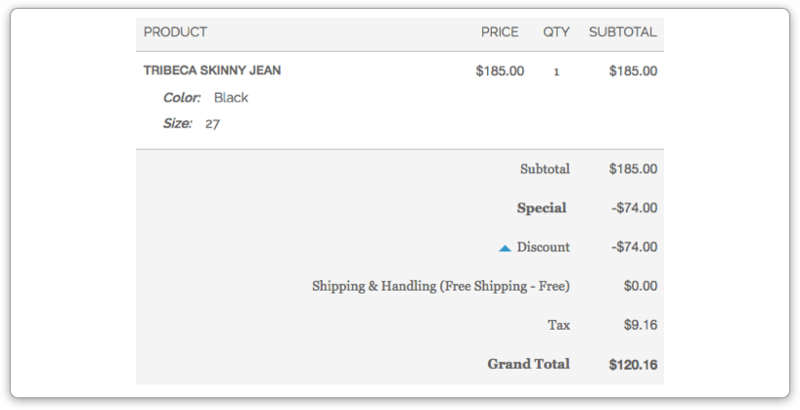 And when you set up a Cart Price rule, the discount is displayed at the shopping cart and checkout stages. 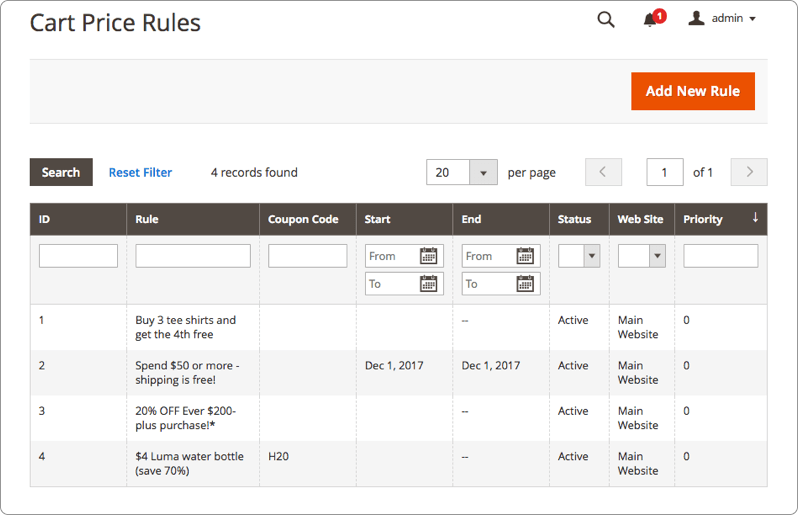 Access the admin panel, go to Promotions > Catalog Price Rules in a Magento 1 store or navigate to Marketing > Promotions > Catalog Price Rule in a Magento 2 installation. You’ll see the list ofall available cart rules. Hit the ‘Add new rule’ button to create a new rule. 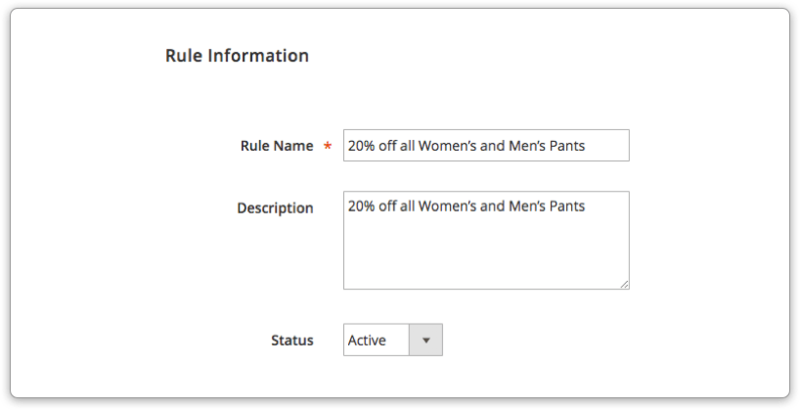 Add all the necessary details about the rule in the ‘Rule Information’ section in Magento 2 or in the ‘Rule Information’ tab in Magento 1. Write the new rule’s name in the ‘Rule Name’ field and fill out the ‘Description’ field. The rule description is optional, as only admins can see it. Choose ‘Active’ in the status’ dropdown field to activate the rule. 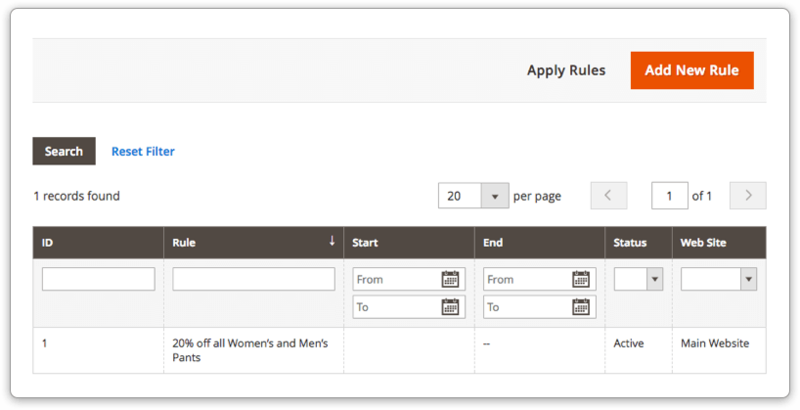 Now you can configure conditions of the rule in the ‘Conditions’ section (Magento 2) or the ‘Conditions’ tab (Magento 1). Use the dropdown field to select the required conditions. For instance, you can set up manufacturer-specific conditions (e.g., ‘Manufacturer is Acer’). Proceed to the ‘Actions’ section/tab to configure rule’s actions by setting up a discount amount. That’s it! Click the ‘Save’ or ‘Save and Apply’ button to finish. In the admin panel, go to Promotions > Cart Price Rules (Magento 1) or to Marketing > Promotions > Catalog Price Rule (in Magento 2) to access the list of available cart rules. Hit the ‘Add New Rule’ button to set up a new rule. In ‘Rule Information’ section/tab, add info about the rule: its name and description. 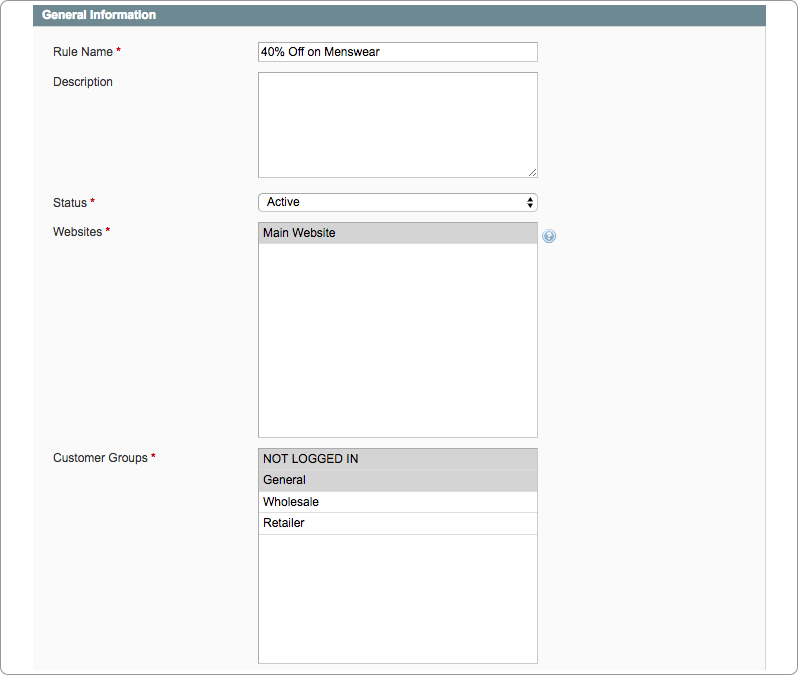 Then activate the rule, assign websites and customer groups to it, and select dates. 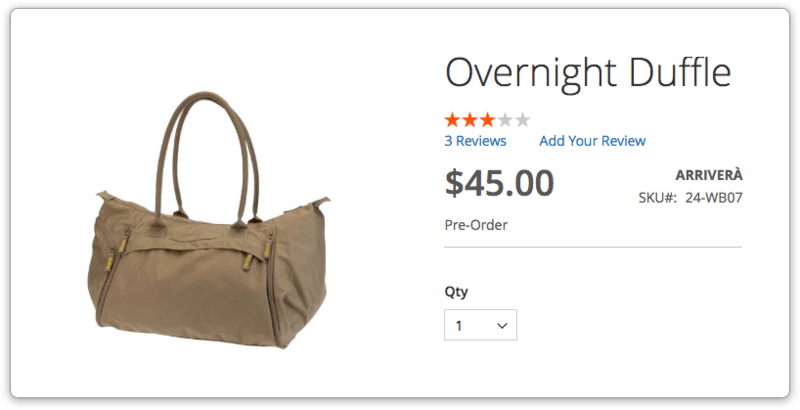 The process is pretty similar to the catalog price rule creation. The key difference is that here you can set up coupons for your customers. We’ll discuss all the coupon-related issues in our next tutorial. Once you’re done with the rule info, configure rule conditions. You can do that by selecting relevant options in dropdown fields and entering data manually (e.g. figures) when needed. 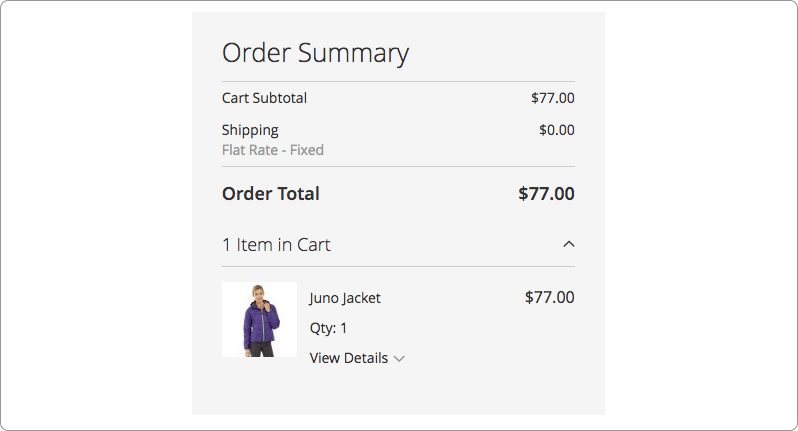 You can add custom labels to cart rules. They will be shown on the checkout page in the front-end. You can add labels in multiple languages, thus delighting you International customers. Click the ‘Save’ button to make the newly created cart rule operational. It’s no surprise that coupons are a proven way of grabbing shoppers’ attention and enticing them to make a purchase. The statistics show that coupon code users spend 24% more than regular shoppers. Besides, modern customers recognize the substantial impact of coupons on their purchasing decisions. 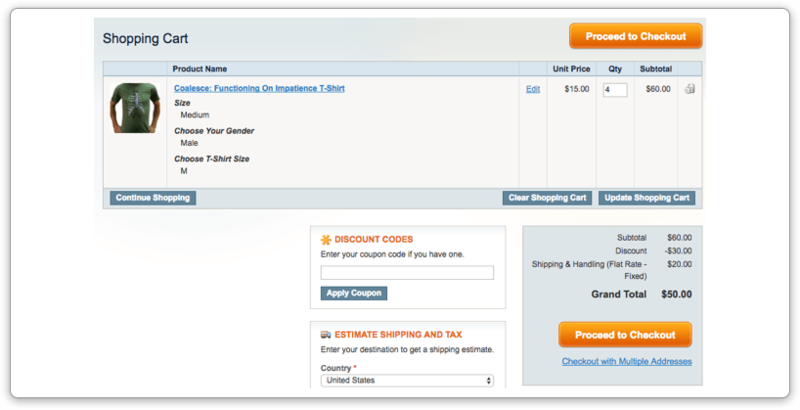 We’ve prepared a detailed guide to help Magento users properly set up their coupon codes. 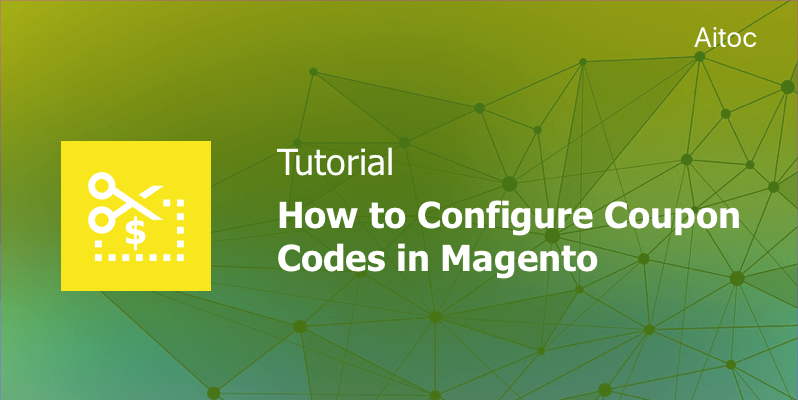 To configure default coupon settings, Magento 2 store admins need to access the admin panel and navigate to Stores > Settings > Configuration. On the Configuration page, head over to Customers > Promotions. If you have a Magento 1 installation, go to System > Configuration > Customers > Promotions. You can manage the settings by entering necessary figures, choosing different options and/or using system values. Click ‘Save Config’ to save the changes. 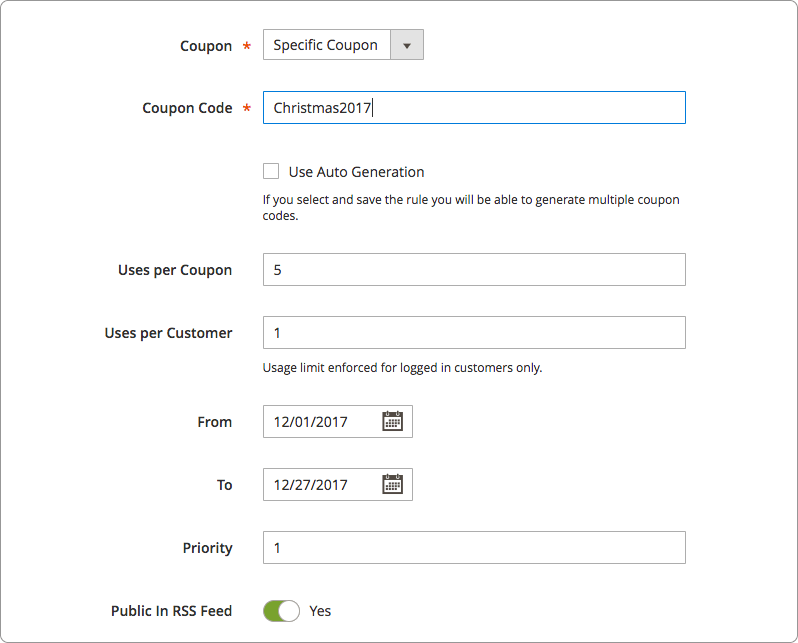 To embark on the coupon marketing, you need to access the Cart Price Rules page and create a new rule or edit the existing one. 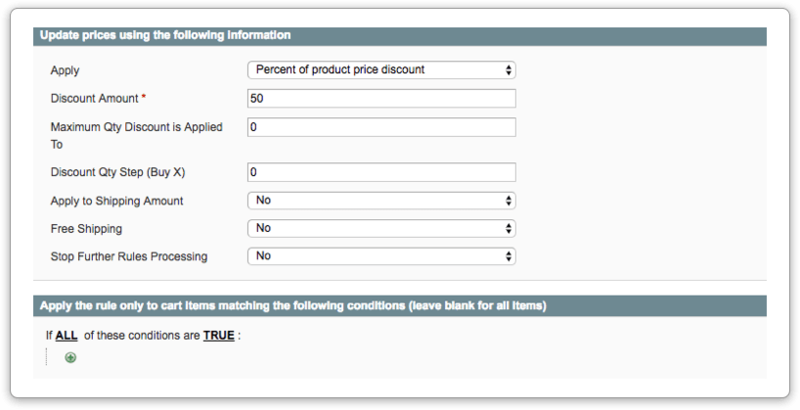 Select the ‘Specific Coupon’ option on the Cart Rule Page to enable coupons for the given rule. You can set a specific code for the rule or use the auto-generation functionality to produce different codes. Make sure to identify would-be-available uses per coupon and per customer. Choose the promotion’s dates, add required conditions and actions, and hit the ‘Save and Continue Edit’ button to continue. To use the auto-generation option, proceed to the ‘Manage Coupon Codes’ section and configure coupon settings. 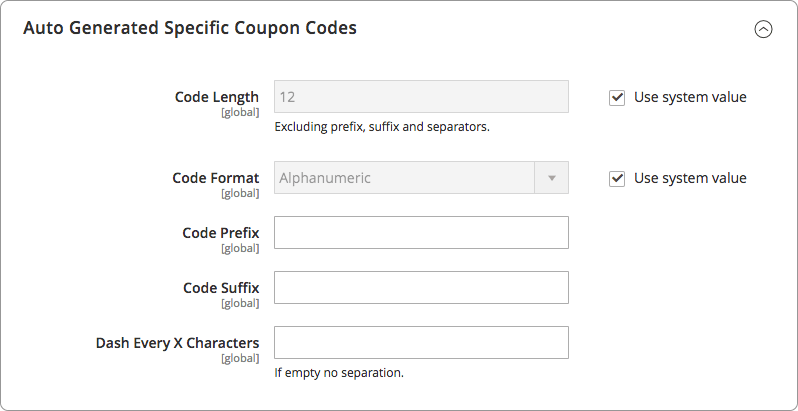 Enter the required coupon quantity, its length and format, specify the code prefix and suffix, and set the number of characters between dashes. Once you are done, click the ‘Generate’ button to create coupons. In a few seconds, you will see the table with the coupon codes at the bottom of the page. That’s it! 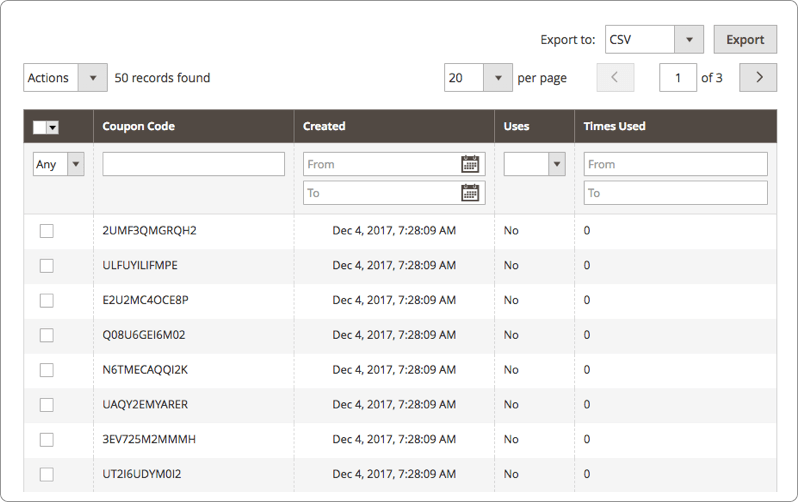 Now you can export the codes to CSV and Excel XML file formats if you need. 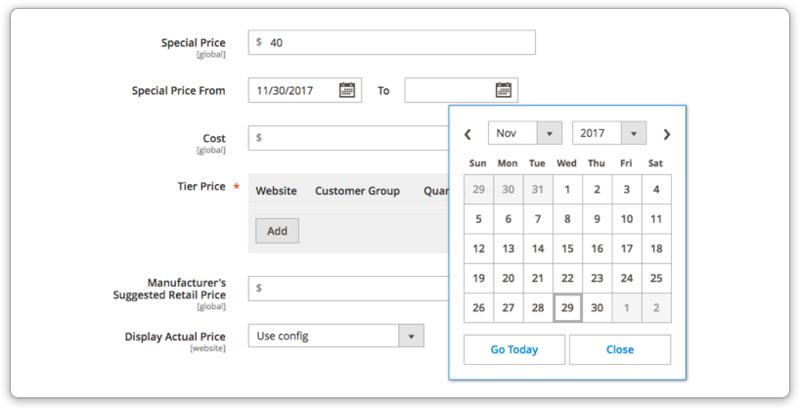 Use the table to learn whether customers used coupons and for how many times they applied each coupon. This is how the order summary on the checkout page looks like before the coupon is applied. To activate the coupon code, shoppers must copy and paste it into the specified field and hit the ‘Apply Discount’ button. 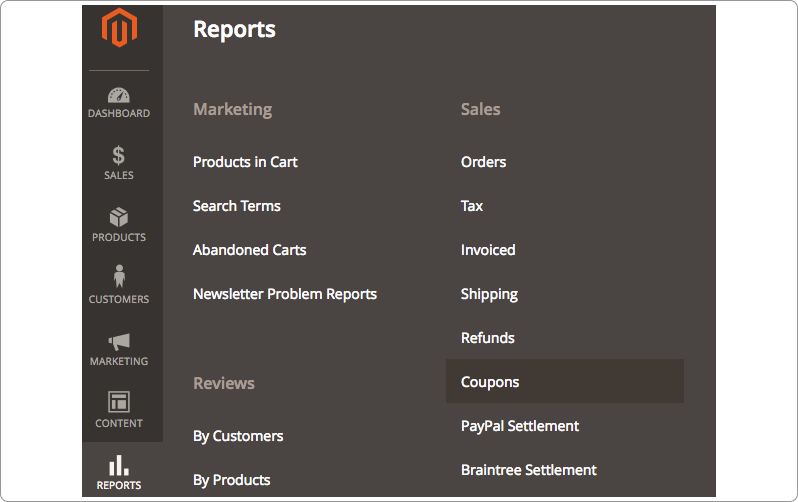 The default Magento functionality allows store admins to access all the necessary coupon usage statistics from a single location by navigating to Reports > Sales > Coupons in the admin panel. 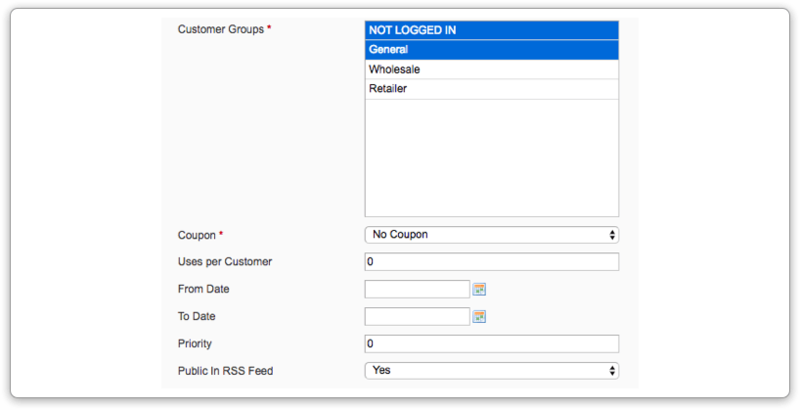 Choose required filters on the Coupons Report page and hit the ‘Show Report’ button to access the coupon usage data. You can export the report to CSV and Excel XML file formats. 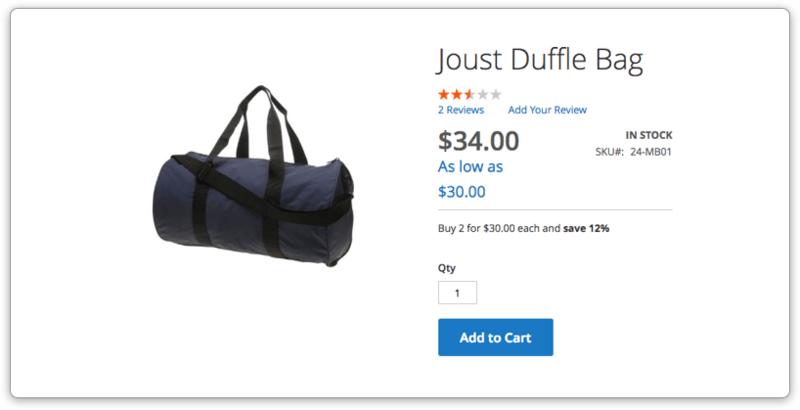 Use codes in abandoned cart emails to recover your lost sales. Offer discount codes to first-time customers. Give discounts to your best clients and partners. Reward loyal social media fans with one-time discounts. Launch holiday season promotional campaigns for regular customers. The festive season is the perfect time for online stores to boost their sales and gain loyal customers. Make use of our tutorial to create great discount campaigns and increase your revenue. With Magento’s functionality in hand, you will easily outperform your competitors in the new holiday season. Good luck!